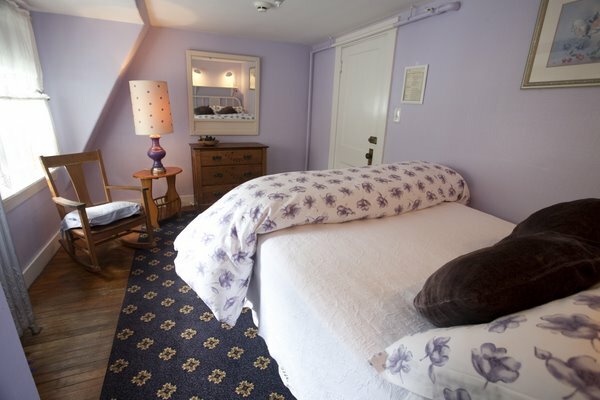 There always has to be a smallest room, and the Mitchell room is it - but what a great little room. 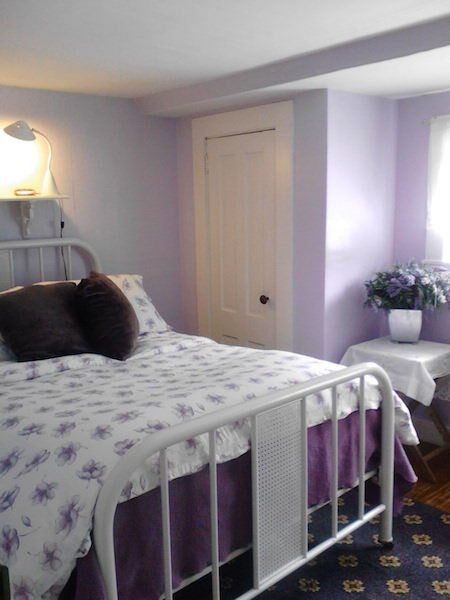 The antique iron bed is surrounded by soft lavender walls while the half window gives a quaint view of the rooftops and woods beyond. A nice room for a single guest or two very friendly ones.